Thanks David, I will give it a try in the future on more complex and three dimensional meshes. With this release of exoskeleton there is an issue with lines that are located in the world planes...so if you have a 2D wireframe that is located in the XY plane, the mesh will look fine, but it will have several naked edges. 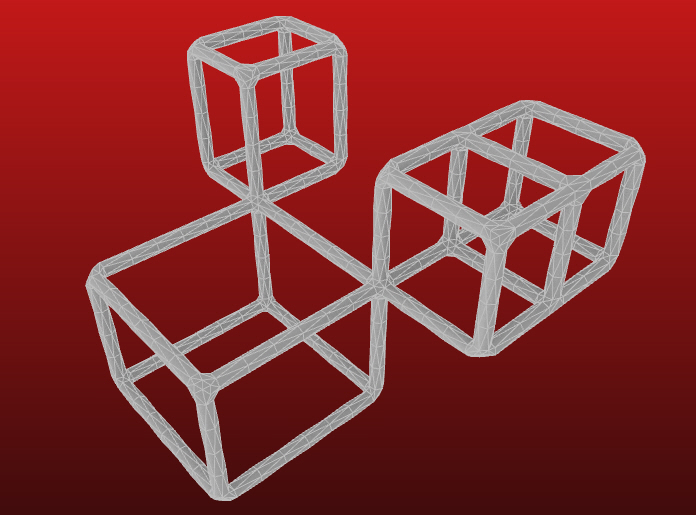 This is an odd artifact, I think having to do with decimal places and translating between Point3d geometries and mesh vertices...but basically, if you want to make the mesh airtight, you just need to move your base wireframe network out of the World XY plane. Hope to fix this in a later release. Excellent tool,from a visual standpoint. I've had issues with a model when trying to create a 3D printable object. Basically, I had a 2D wireframe mesh and used Exo on it, looked really good, but, once imported into Shapeways, most of the elements disappeared and I was left with a very "skeletal" model. 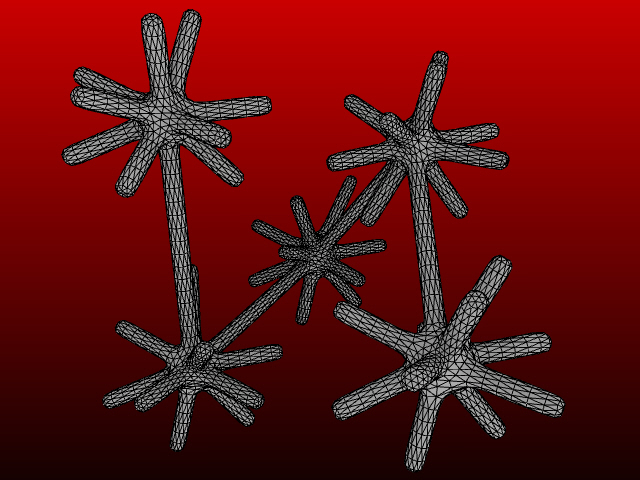 What I ended up doing was much simpler, I split the mesh into lines and then used the Pipe tool. Here is a definition and source file. I am very new to grasshopper and am trying to make these lines into meshes. Although I seem to only be getting triangles and the corners of the lines which is not what I want. I don't know if Arthur Mamou-Mani or anybody else is able to help. Thank you. This is such an amazing tool, I've had absolute nightmares in the past trying to do this type of thing! I'm having an issue where some nodes separate from their struts, do you have any idea what I'm doing wrong? Hi Kyle. Check this topic. Is there something wrong with my sets? The left is the original lines set, the right is the exoskeleton result, which add some lines from 0,0 point to some of nods.Where are the lines from? Unfortunately, we won't be actively supporting V4...we haven't been able to identify what the bug is, and we are working to support 0.9.0050+. I also hope during this update to address the issue of the lines running to the origin. 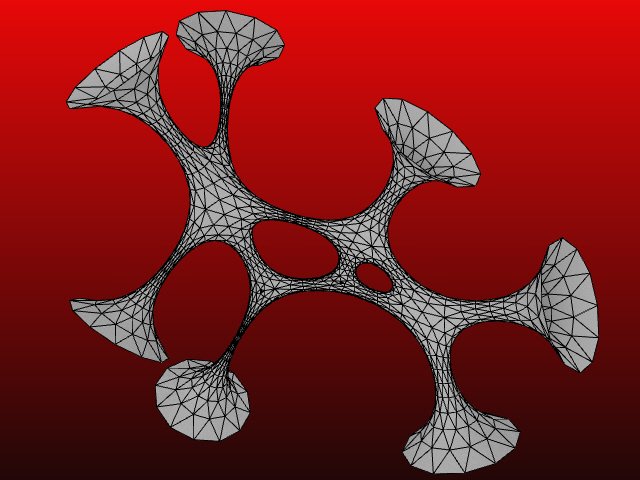 The reason for this error is pretty simple: the nodes are generated using a convex hull, and when these hulls overlap...which is to say, when any hull engulfs one of its struts entirely, the mesh breaks down. One way to help prevent this from happening is to use Daniel's topologizer, but that won't always work. I am hoping to implement some changes that will either generate "super nodes" that combine the input struts between highly proximate nodes, or at the very least generate a detailed error message that illustrates where the input is causing the breakage.